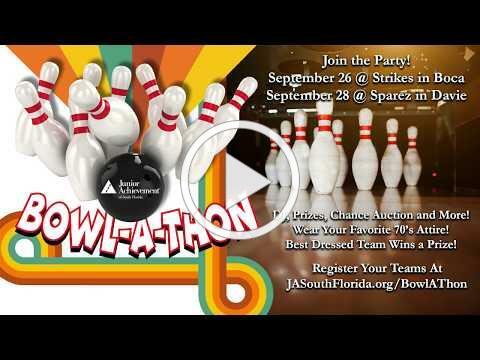 Inviting Friends, Family and Colleagues to the 2018 JA Bowl-A-Thon! Our co-chairs David Gussack, Joe Schumacker and Board of Directors Chair Peter Anderson are excited about the 2018 JA Bowl-A-Thon! We hope you are too! It's only a month away - so don't wait to register your teams! Also be sure to wear your favorite 70's attire. The JA Bowl-A-Thon is always a lot of fun - great for family, friends and colleagues. Plus, it's for a great cause - raising funds for Junior Achievement of South Florida's programs. Junior Achievement of South Florida's Board of Directors kicked off the new fiscal year by inducting our newest members, as well as celebrating Board and staff anniversaries. Top Left: Board Chair Peter Anderson (left) and President/CEO Laurie Sallarulo inducted the newest members (left to right) Rick Farah of SalesForce; Bob Birdsong of OK Generators; Carlos Alvarez of BBVA Compass, and David Greenberg of Greenberg Capital LLC. Not in the photo are members Dr. Stephen Henry of the University of Miami Sports Medicine Institute and Iwan Mohamed of BB&T. Top Right: Peter and Laurie recognize (left to right) Paul Marko of Stiles Corporation for 25 years on the Board, Franki Schmidt of American Express for reaching her 5-year milestone and Jerry Rosenthal of Tire Hut for his 15th anniversary serving on the Board of Directors. Bottom Left and Right: Diana Metcalf, Director of Development recently celebrated her 10th anniversary, and Yvonne Garcia-Swain, Development Manager, was applauded for 20 years at Junior Acheivement of South Florida. Also (not pictured), Monica McNerney, Vice President of Operations, and Elexcy Morrison, Director of Career Readiness Initiatives, celebrated 5 years with JA. Congratulations to all on your accomplishments! As the 2018-19 JA Fellows program begins this fall, Junior Achievement of South Florida is looking for local businesses and community leaders to inspire today's youth by volunteering as mentors. JA Fellows is an in-depth, highly intensive leadership and entrepreneurship program for high school students. Students gain real-world business experience by working in groups of 20-25, conceptualizing, capitalizing, and managing their own small businesses. Throughout this real-life entrepreneurship experience, students develop communication, financial management, problem solving, collaboration and time management skills, just to name a few. Mentors work in teams of 4-6, coaching students through the process of starting and running a small business. If you are interesting in becoming a mentor, contact Martha Rios at (954) 979-7103 or email Martha@JASouthFlorida.org. Presenting JA with a $5,000 check is Katrina Wright (center), VP, Community Development and Outreach for BankUnited. She is pictured withJA staff members Alexa Diaz, Director of Community Outreach, and Gina Griffin, Grants Manager. Thanks to a generous contribution by BankUnited, two schools with mostly at-risk students will be able to participate in the JA BizTown program. Every 5th grade student participates in a series of 16 classroom lessons, where they learn about applying for jobs, voting, career opportunities, customer service, paychecks, savings and more. Then, they put their knowledge to work at JA BizTown, where they operate a simulated economy and run businesses. BankUnited provides corporate contributions to nonprofit organizations whose work helps to meet community needs in the areas of small business and economic development; affordable housing and community development; financial education/foreclosure prevention; and financial education/K-12 education. Junior Achievement of South Florida is proud to have BankUnited's volunteer and financial support! If you haven't been to our 60,000 square-foot campus, make plans to do so soon! Junior Achievement of South Florida has always been committed to hands-on, experiential learning where more than 50,000 students each year can take the knowledge and skills they've learned from their JA experience and apply it in real world situations. That commitment significantly increased in 2009 with Junior Achievement of South Florida opened JA World Huizenga Center at the Lillian S. Wells Pavilion. 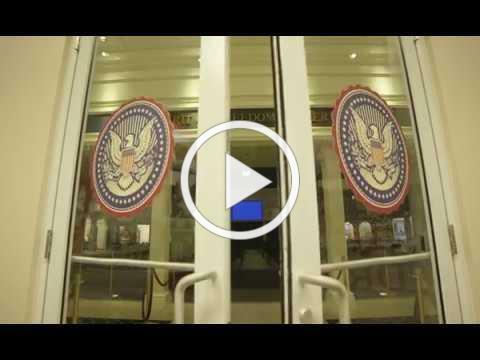 Located on the Broward College North Campus in Coconut Creek, Florida, JA World is the home to two of Junior Achievement of South Florida's signature programs - JA BizTown and JA Finance Park. These interactive learning environments transform how students are taught entrepreneurship, work readiness and financial literacy. Come take a tour, and learn how you can give back by making a donation, attending one of our events or volunteering your time!